Arax, Кишинев 1 year 9 mo. Administration and development of the provider network. 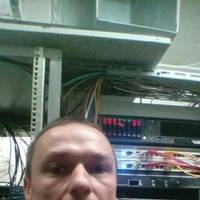 Install and maintenance Cisco, Juniper, MikroTik, *nix servers. Second line technical support. Network health monitoring (Dude, Zabbix). Femida, Москва 1 year 2 mo.